There is no such thing. 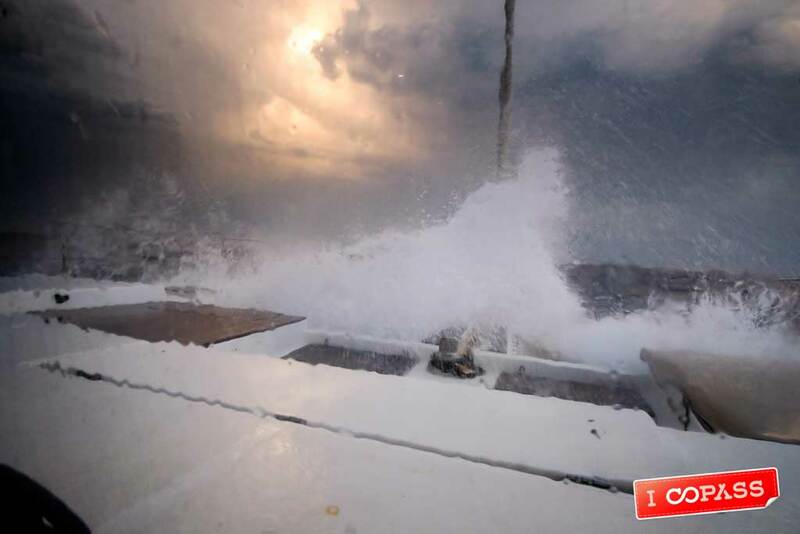 Each of the seven days spent on the boat was different and no matter how much you wanted to plan things out, there were too many aspects that could dictate the course of day. 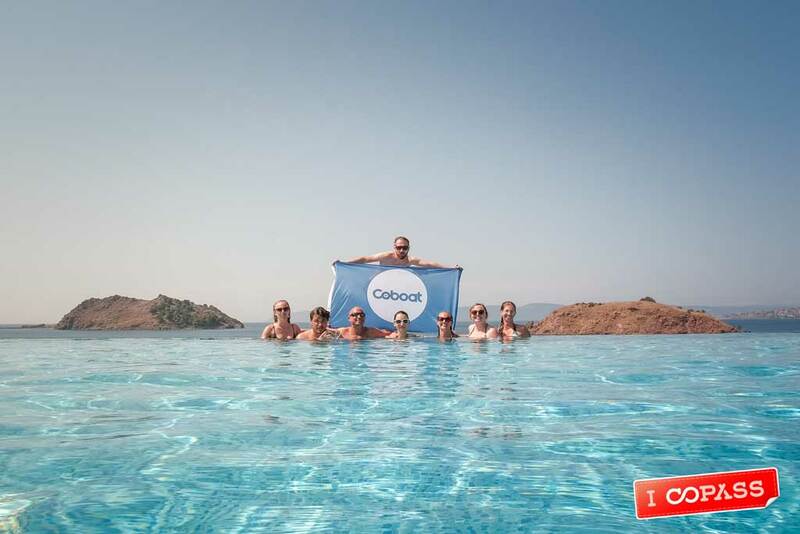 The plan was pre-made by the Coboat team, which did a great job mixing time on land with sailing among the beautiful islands of Greece, while co-working, having workshops and idea incubator sessions. However, nothing is settled when you are on the sea. Sometimes the wind and sun are the ones dictating the arrival time, sun bathing sessions and working hours. But because I am pretty sure you are interested in what we did and how we spent our time on Coboat, I’ll sum up our journey. We started our sailing trip with an adventure. My first day wasn’t exactly the first for everyone, since the ferryboat that was supposed to get me there on time had some problems and I only got on the Coboat at midnight, when almost everyone else was already sleeping. My first day was, therefore, mostly spent on sea. We left Lemnos to head to the beautiful island of Lesvos. We were on the boat for around nine hours and we encountered quite a few new sensations. The boat also rocked for a few hours and now I can finally say that I know how that feels too. So if i were to pick the worst day of the trip, it would be that first day, but it really wasn’t that bad. Every journey is different and provides interesting memories. 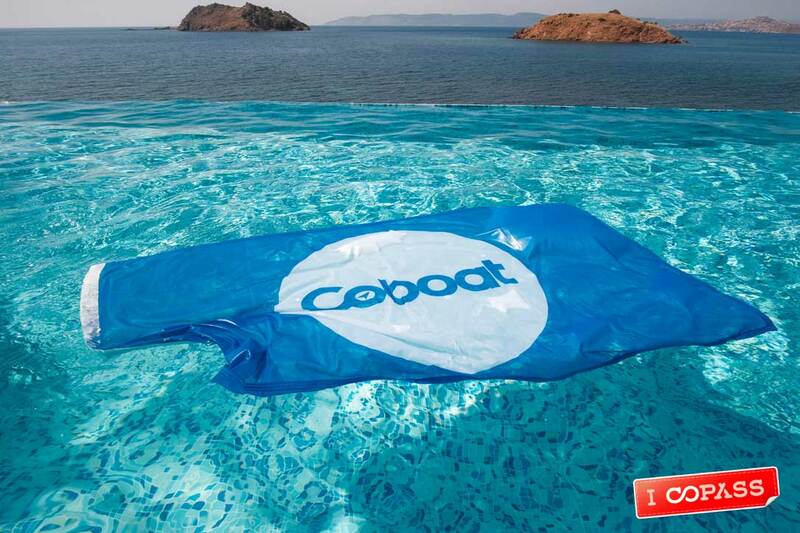 If you think Coboat is just an experience on sea, that’s a wrong assumption. It’s a great mix between being on the water, co-working, co-living, but also getting to see different places and meeting interesting people. 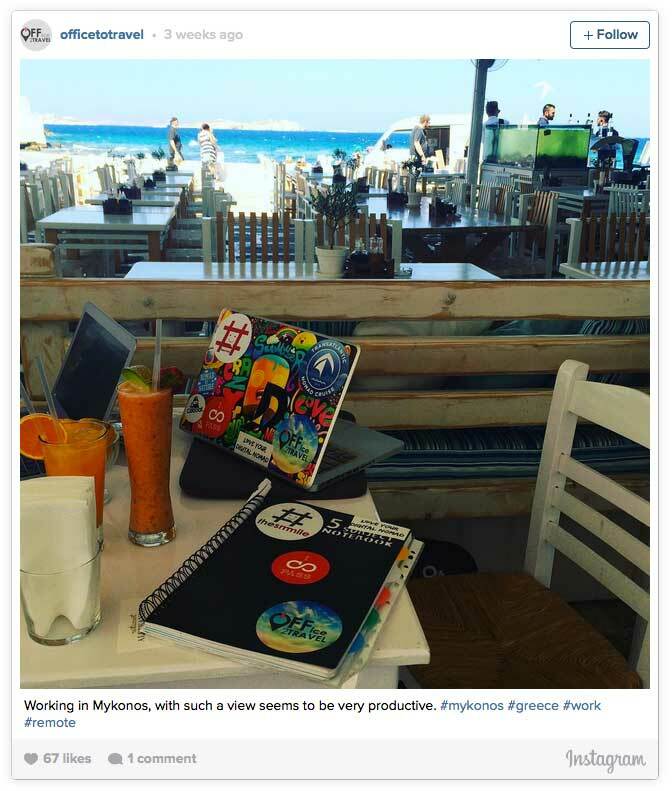 When we got to Lesvos, we went to one of the most amazing co-working and co-living spaces – Birds Bay – it has the Greek touch and feel and a mesmerizing view. 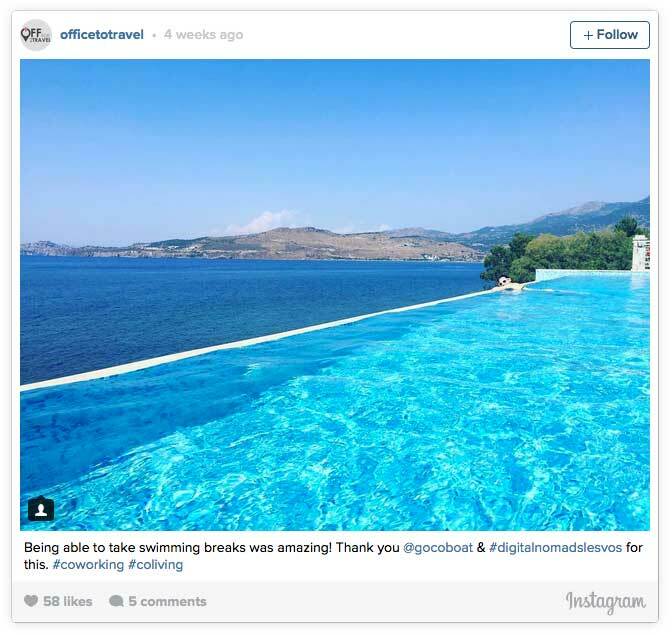 Take a look or get in touch with Digital Nomads Lesvos, if you want to find out more about spending some time on this Greek island. We worked for a few hours, enjoyed the silence of the place but also took a couple of breaks to test out the infinity pool. I don’t plan too much in advance, so I am not sure about my future destinations, but Birds Bay made it to my “must-return-to” list. If I ever decide to write the book I’ve been thinking about, this could be the place I’ll do it in. The old and new are combined with a view that is able inspire and relax anyone. Another day of sailing began, but this time the weather and waves were perfect. We left Lesvos and headed to an island with only 300-400 inhabitants. On route, we had time to work on our projects by ourselves, but we also had a skills-sharing session and an idea incubator one. If you associate Greece with Mykonos or Santorini, Psara is nowhere close to the other famous Greek islands. 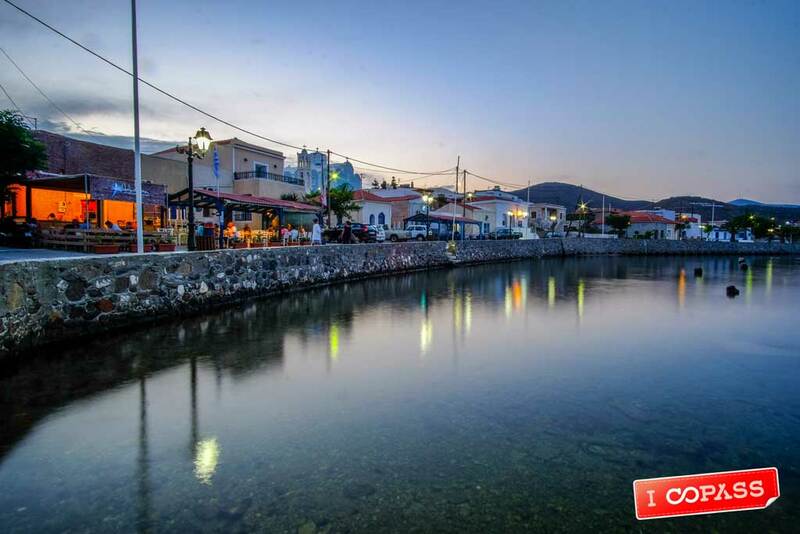 it is a quiet island with welcoming people that inspire authentic Greek hospitality. We started sailing towards the Mykonos island early in the morning. It is a place we were all excited to get to experience. 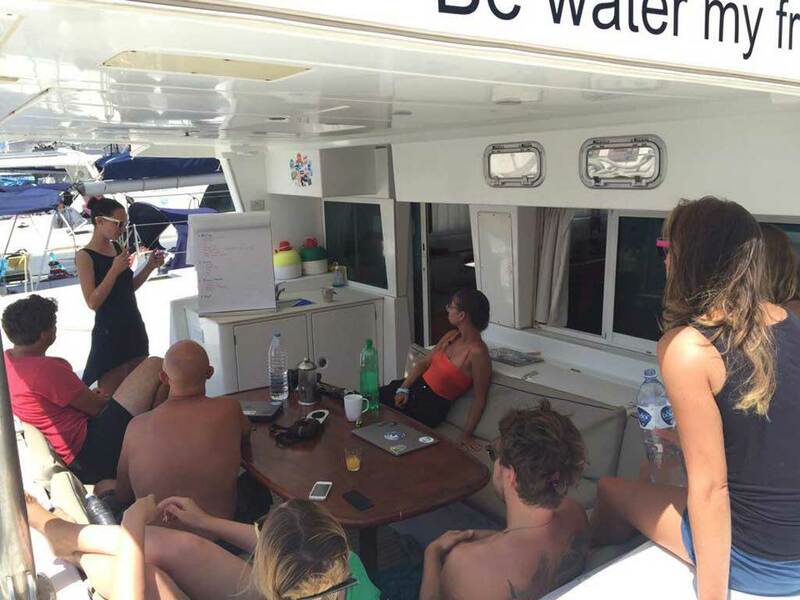 So, as we were sailing, we also got the chance to talk about how stress can turn into creativity and to work for a little bit, as much as the waves allowed us to stare into a laptop screen. The day ended great when we went up the hill in Mykonos to have a drink, relax and enjoy the amazing view we had in front of us. This day was entirely dedicated to exploring Mykonos and working out of cafés, restaurants and the Coboat. And you really have to explore the place: at each new corner you can find something unexpected. Moreso, if you are into brands (even though most nomads are not), you will be surprised to spot luxury brands next to a simple house or a fast-food place. However, the skills share and incubator sessions weren’t left out of the Coboaters schedule. 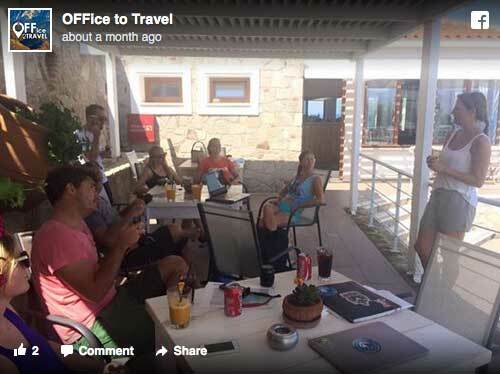 This time it was my turn and I can tell you that with the help of their feedback, I managed to have a clear vision about how OFFice To Travel will grow. ? You will see it pretty soon. This was also the day when two of the members, Sophie and Eric from Copass, had to leave and we were pretty sad, but managed to have fun up to the last moment. After so much time on land, we had to sail again. This time, for Paros. Working, sharing skills and talking about our ideas were once again part of the schedule. And since these were the last days on Coboat, we had to make the best out of them. When the night came, Coboat and DNomad.Club sailing retreat boats met and had a great time making a barbecue, talking and sharing thoughts about the sailing experience. Oh, this must’ve been the hardest moment. For seven days we shared almost everything and we managed to feel like a community. It was difficult to say goodbye, but nothing lasts forever, right? Sometimes, working and living in the same place with another group of people can be exhausting. People have different routines, desires and diets. It can be hard, even with friends, to spend almost 24/7 together. But it always depends on the people. This time, like many other times, the people were amazing. That’s why, for attending some digital nomad events you need to have one or more interviews with the organizers; just to make sure the people connect and the vibe will be good for everyone. These were our guidelines, and since we all agreed, we had a great time. I worked less than I wanted to work, sometimes by will, other times just because I had to obey to wind. And I can’t say I regret it even a bit. 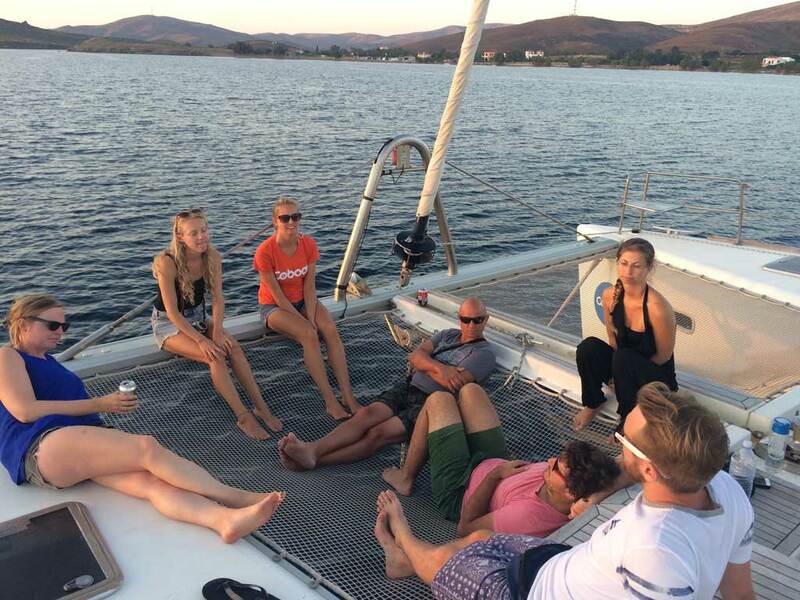 It’s a pity not to enjoy the whole experience, the sailing part, connecting with people, sharing your skills and getting new ideas. There were times when I decided to work, but the waves made me shut off my laptop really quickly and just enjoy the ride. Even though I don’t usually get seasick, staring at a screen when everything around you moves can make you go soak up the sun. It’s not only about working separately at the same table (or on the deck), but also about helping each other and sharing skills. And Coboat facilitated that for us. Almost every day we had sessions of skills sharing and idea incubators. Each of us got the chance to get relevant feedback on what we are working. Living on a boat can have its disadvantages. So if you’ve never been on a longer sailing trip, which was also my case, take into consideration that you won’t be able to take 30 minutes showers or waste electricity, but you’d be surprised to see how easy it is to adapt. All these things made the experience even “more unique” (yes, I know, dear fellow grammar freaks) and sometimes made me step out of my comfort zone. When people who you are sharing a home with are not quality people, especially when most of the times there is no cafe to run to or take a walk, maybe only jump into the water, things can go wrong. Here it was the opposite. Coboaters, both the crew and the guests, made everything even better. I could not say it clearer than this: they were amazing. Among the people on the Coboat, you might know Eric and Sophie, founders of Copass, Barbara from Barbaralicious, Adrian from DeDrum and Christian from… Christian, I am looking forward to your new project. Also, the crew was exceptional. I will miss Jacob’s cooking, Kim and Becky’s positive vibe and pro-activity and our skipper’s preparations for sailing to the next islands. Oh, yeah, in a few days we managed to get an anthem of the week. ? 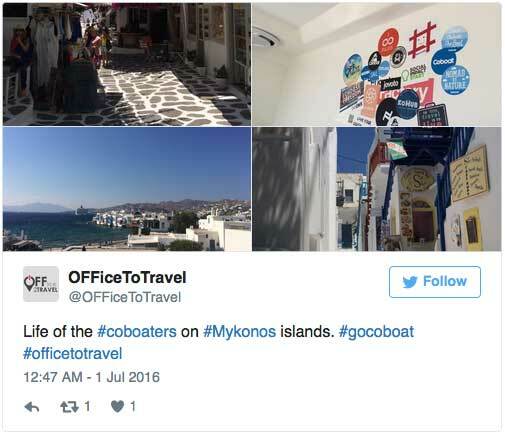 You might not be able to get on the same itinerary on the Coboat anytime soon, since they are choosing different parts of the world every time, but sailing between the Greek islands was a great experience: from Psara’s local vibe (with only a few hundred inhabitants) to the posh Mykonos, we had a blast discovering new places. One thing is sure: you cannot get bored on the Coboat. As a conclusion and advice: if you like having an all-inclusive trip, relax, not care about the world anymore and just sun bathe, do yourself a favour and book a trip from a travel agency. 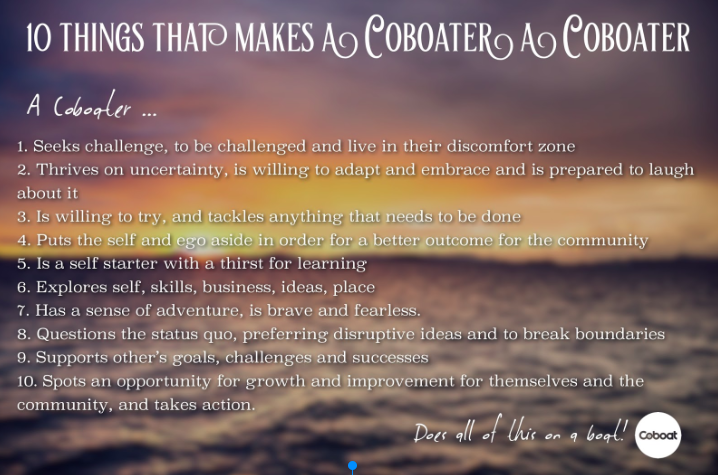 But if you want to have a great time, connect, get ideas, explore, co-work, co-live, step out of your comfort zone and make new friends, Coboat is definitely the place to be.